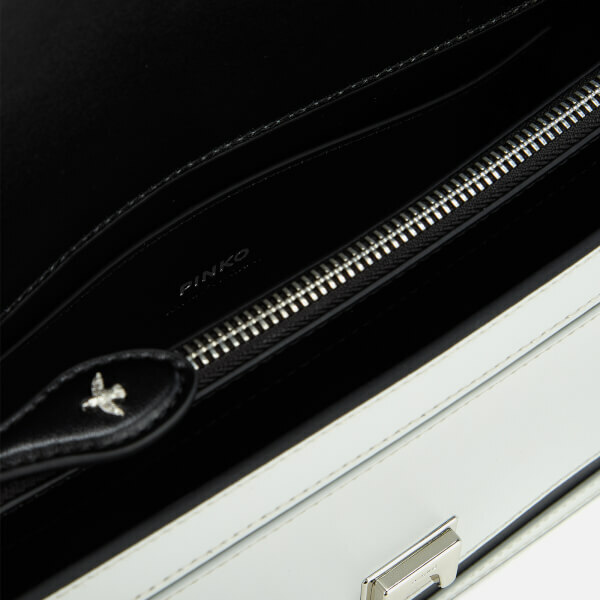 Pinko ‘Love Evolution’ bag in two-tone black and white leather. 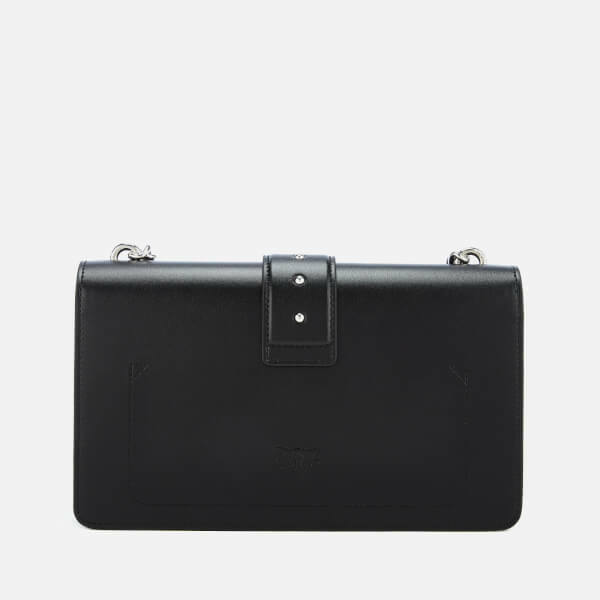 The shoulder bag is designed with a flap fastening and slide lock that opens to reveal a dual-compartment interior with a central zip pocket and a slip pocket on the back wall. 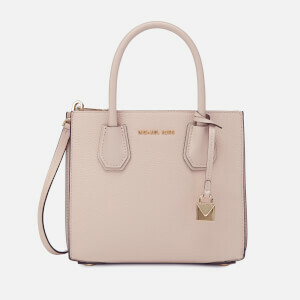 Fitted with a silver-tone chain shoulder strap with a two-tone leather insert. 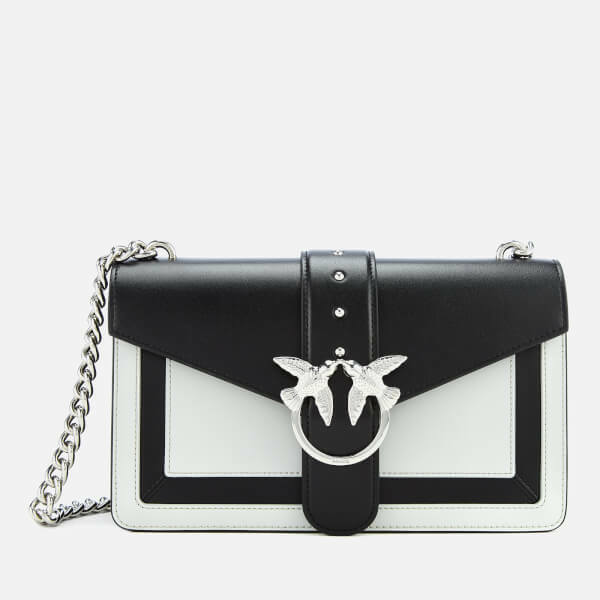 The iconic dual Love Birds metal buckle and metal rivet embellishment on the central strap complete the design. 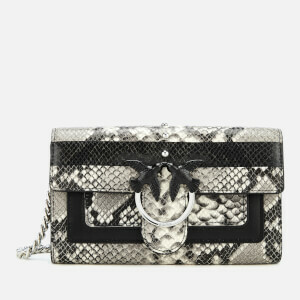 A branded dust bag is included. Dimensions: H: 17cm x W: 27cm x D: 7cm. Strap Drop: 49cm.